One of the ironies of my life is that although I ended up in psychiatry, as a kid I wanted to be a surgeon. I had no idea what was involved. But since I needed surgery (as a kid—and in pretty much cured me), this lovely article in LIFE magazine on February 11, 1946 was fascinating indeed! On page 60 they showed surgical instruments (below) and I was hooked. But near the mid-20th century psychoanalysis (which also includes much psych-ology was at its height. In the last 2 decades of the last century it’s become more medical and medicine oriented) was at its height. By the later 1960s and beyond I became more involved with alternative non-psy- choanalytic approaches. This picture, it occurs to me, could also portray symbolic-ally the variety of technical interventions that are involved in psychodrama. 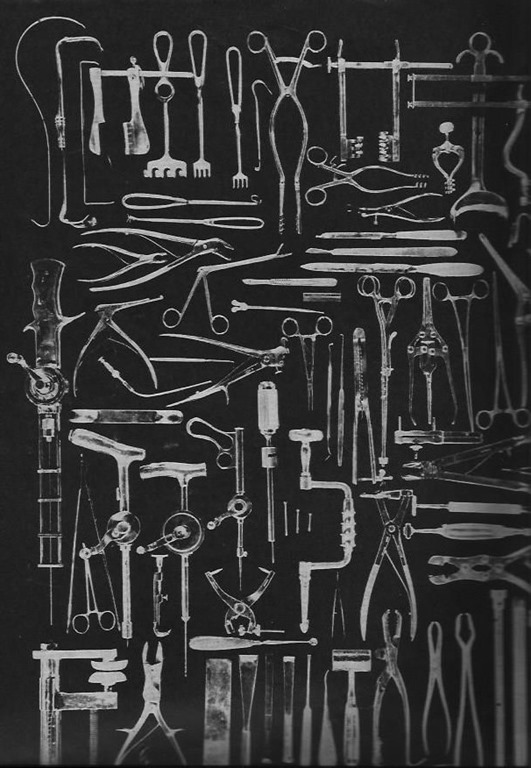 Of course, this image shocked me a bit because my first thought was “tools of torture”!